VATICAN- The Vatican has ordered the suspension of activities of the congregation of Apostles of Jesus, placing the society under a Pontifical Commission of inquiry. 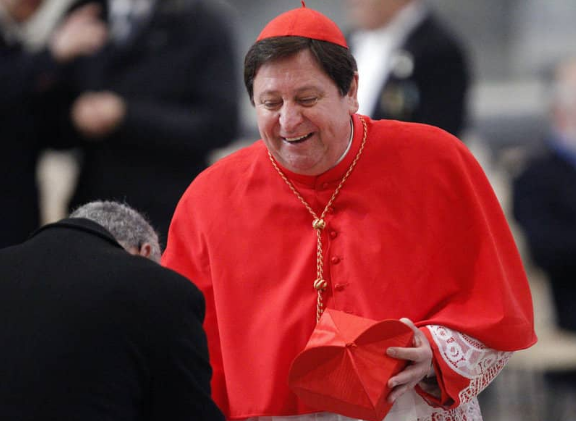 The drastic action was ordered by Joao Braz Cardinal de Aviz the Prefect in charge of the Congregation for Institutes of Consecrated Life and Societies of Apostolic Life who also appointed Rev. Fr. 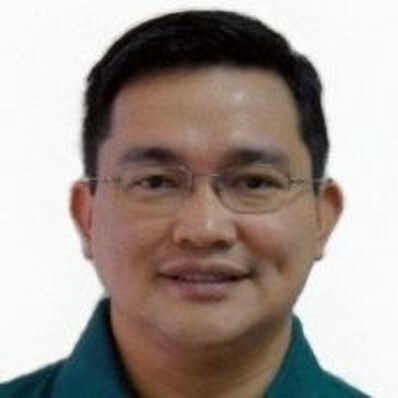 Raphael p’Omony Wokrach from the MCCJ – Comboni Missionaries (Missionarii Comboniani Cordis Jesu) to head the Commission, that will take over all the duties of the leadership of the society and conduct a further investigation into priests’ misbehaviour. Fr. 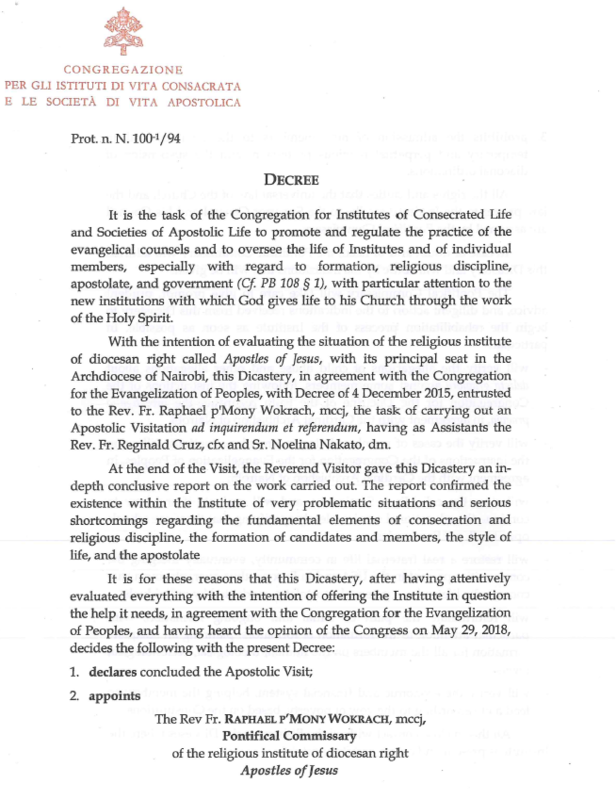 Wokrach headed the initial investigation, that led to the suspension of the activities of the congregation which is in trouble having been found culpable for what the Vatican called “very problematic situations and serious shortcomings regarding the fundamental elements of consecration and religious discipline, the formation of candidates and members, the style of life, and the apostolate”. Fr Wokrach worked with the Bro. Reginald Cruz, and Sr. Noelina Nakato in conducting the initial investigation. 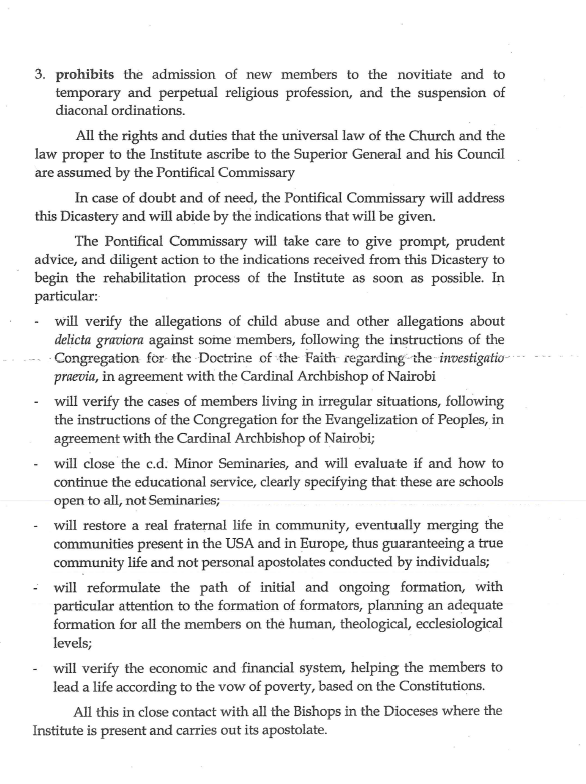 On top of stopping ordinations, the Vatican has also announced the closure of the seminaries operated by the congregation of Apostles of Jesus headquartered in Nairobi Kenya and ordered verification of “the economic and financial system, helping the members to lead a life according to the vow of poverty, based on the constitution”. “[The Commission] will verify the cases of members living in irregular situations, following the instructions of the Congregation for the Evangelization of Peoples, in agreement with the Cardinal Archbishop of Nairobi,” Cardinal De Avidz announced. According to their website, The Apostles of Jesus, was the first religious missionary order of priests and brothers to be founded in Africa. Founded by Bishop Sixtus Mazzoldi, MCCJ and Rev. John Marengoni, MCCJ in Moroto, Uganda, East Africa, on August 22, 1968, the order soon spread to Kenya, Tanzania, Sudan and to other parts of Africa, Europe, Australia and the United States. They achieve this by not only ministering in immediate needy areas, but by also providing a future for tomorrow. In 2008, the Apostles of Jesus celebrated their fortieth anniversary of missions . The congregation was due to celebrate its golden this month.